Time: Friday 9:00 A.M. - 6:30 P.M. / Saturday 10:00 A.M. - 7:30 P.M.
*Onsite Check-in and Registration starts at 8:00 a.m. on Friday and at 9:00 a.m. on Saturday. *Participant must be between the ages 12-19 and Grades 7-12 only. *Please note that transportation to and from the event is only available to girls living within the Tulsa area. Transporation can only be provided to girls who register before 5:00 p.m. on Wednesday, June 5th, 2019. If transportation is needed choose one route below for pickup and drop off. 8:00am Tulsa Teachers Credit Union Pine & MLK - 46th & Peoria 8:10am Walgreens– 46th & Peoria 8:15am Mclain7th Grade Center – 525E. 46th St. N.
Please select one of the Friday morning (9:30 am-11:00 am) sessions listed below to reserve your spot. *If participant will not attend the Friday morning session skip to the next question. *If a participant is more than 30 minutes late she will lose her spot in one or possibly both sessions. *Participants cannot change sessions on arrival. Enter additional information if Church, School, or Other was selected above. Will you be attending the Parent Workshops on Saturday afternoon? Select the two workshops below. If you will not attend the Parent Workshops skip to the next question. CAREFULLY READ AND COMPLETE THE CONSENT, ACKNOWEDGEMENT, AND RELEASE LANGUAGE BELOW. The above information is true to the best of my knowledge. As the parent/guardian of the above-named participant, I give permission for my child to participate in all Girls Teen Summit activities. I understand that neither the Girls Teen Summit and/or the Tulsa Dream Center, nor any of its agents are responsible for any injury or casualty sustained by the named participant. I will accept responsibility for any medical expenses as a result of any such injury or casualty and will not hold liable, the Girls Teen Sumit and/or the Tulsa Dream Center, its officers, agents or volunteers. I understand and agree to the Participation and Injury Acknowledgement stated above. PHOTOGRAPHY RELEASE: During the course of the youth group event, photos and or video will be taken. Please indicate below if you give permission to use and/or publish photos/video of you or your youth obtained during the event. Agree to the use of my image and images of named participant. Agree to use of my image only. Agree to the use of images of named participant only. No videos and images taken. All attendees will be responsible for any personal items brought to the event. Girls Teen Summit, Tulsa Dream Center and any of their agents, representatives, and/or volunteers will not be responsible for lost or stolen items. Disruptive conduct will not be tolerated. Any attendees who are deemed to be unruly or disorderly will be required to leave the premises. Transportation from the event will be the responsibility of the parent/guardian. I agree to and understand the Personal Property and Conduct Expectations Acknowledgement. 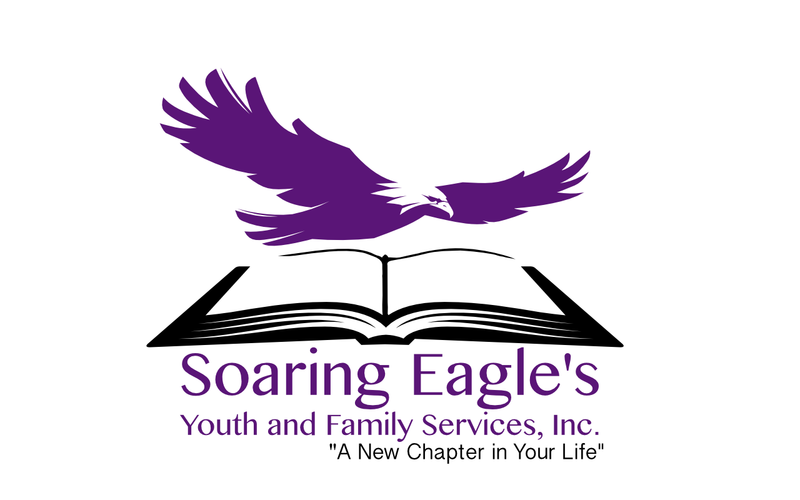 We at Soaring Eagles Youth & Family Services encourages girls to seek out and get connected with organizations that provide various services that help positively impact the lives of each girl. While we encourage connecting with mentors, we advise that the girls first connect with an official organization and through the organization to be partnered with an individual mentor. We do NOT advise girls to exchange numbers with event volunteers. Should your child exchange numbers with an event volunteer, Soaring Eagles Youth & Family Services, The Tulsa Dream Center and any other company or organization connected to Girls' Teen Summit shall NOT be held liable for the outcome of relationship. I agree to and understand to the above statement. By checking below you are acknowledging that as the parent/guardian of the participant you have read and agreeded to all items outlined above. I am the parent and/or guardian of the participant. I certify that I understand and agree to all the items outlined above. Hotel accommodations at the Comfort Inn, 9010 E. 71st St., Tulsa, OK 74133 can be arranged by calling 918.459.5321. Please mention Girls' Teen Summit when making your reservation. To receive the discounted rate you MUST BOOK BEFORE MAY 17th! Additional hotel details can be answered by the hotel staff. If you have additional questions about registering for the 2019 Girls' Teen Summit please contact us at 918.739.8336.